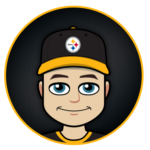 Heading into Week’5 contest between the Pittsburgh Steelers and Atlanta Falcons, there were a lot of questions surrounding the lack of usual chemistry between Steelers quarterback Ben Roethlisberger and his wide receiver Antonio Brown. 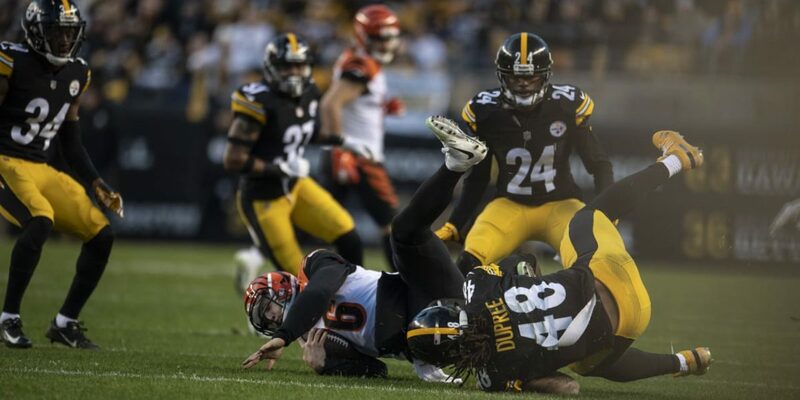 When asked about each of the players being out of sync, Brown responded earlier in that week by saying he and Roethlisberger joke about the “drama” the media makes out of their games and that his relationship with Big Ben is like a Wi-Fi connection: sometimes the connection is good, sometimes it’s bad. On this Sunday afternoon, the connection was excellent. 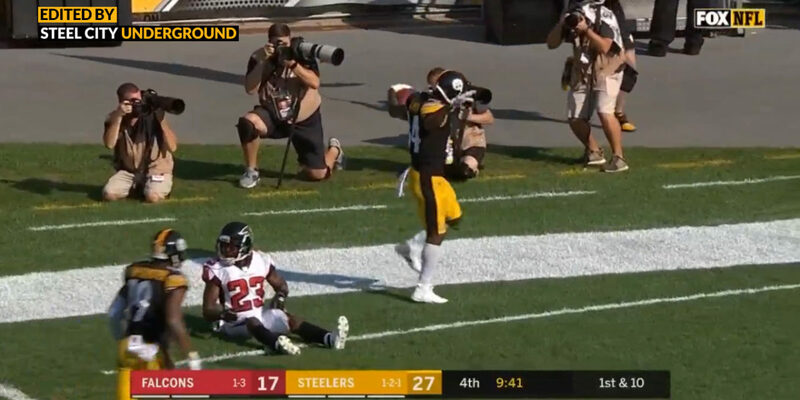 Brown finished the day with 6 receptions for 101 yards and 2 touchdowns, one of which is shown below as the Steelers attempted to add to a then ten-point lead over Atlanta and put the game out of reach. They would do so with this 47-yard connection, proving once again that Big Ben and AB are two of the best in the business… and that business is boomin’.